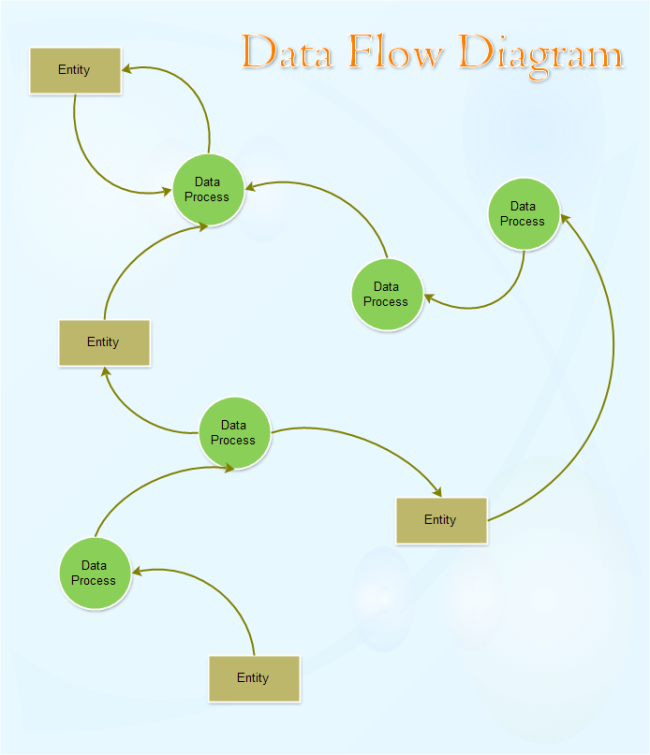 Description: A free customizable data flow diagram template is provided to download and print. Quickly get a head-start when creating your own data flow diagram. Use it to create perfect data flow diagram quickly and easily.